Home > Avoiding Debt > What is a Credit File? When you want to get credit of any kind your credit file is important. 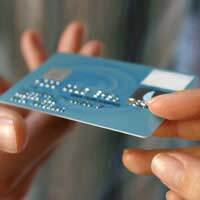 Everyone has a credit file and how good or bad it is will affect how much credit, if any, you are able to borrow. If you miss any payments it will be on your credit file and could seriously affect your ability to borrow in the future. A credit file is a record of all of your financial details. It shows when you have missed payments, when you have received County Court judgements and when you have filed for bankruptcy or entered into an Individual Voluntary Agreement. Your credit file is kept and updated by the Credit Reference Agencies such as Experian, CallCredit and Equifax. When you apply for credit your lender will request to see your credit file in order to make a decision on whether you can borrow from them. Your credit score is a measure of good or bad your credit file is. Your credit score is the easiest indication of how well your file is and is useful to the lender when deciding whether to lend to you. If you want to find out what your credit score is and view your credit file you should contact the Credit Reference Agencies which offer you the chance to view it. CallCredit, Equifax and Experian are all offer you the chance to view your file and score. What if I get Refused Credit? Sometimes credit files are incorrect. If you are refused credit you should ask your lender if this was because of your credit score and credit file. If so you should consult the Credit Reference Agency to find out what is wrong with your file. If the information is incorrect then the agency must correct it. The minimum time information stays on your credit file is six years. It could stay on much longer than this, depending on what type of information it is. Bankruptcy orders, Individual Voluntary Arrangements and County Court Judgements are all deleted from your file after six years. Can I ask for Information to be Removed? If information of your credit file is incorrect you are entitled to request it be removed. However if the information is correct you are unable to have it removed, regardless of how badly it is affecting your credit score. If this is the case your only option is to manage your finances well from now on and wait six years for the negative information to be deleted. Your credit file and credit score are very important when it comes to getting credit. If they are poor then you are likely to be refused credit. It is important that you do not let your finances get out of control. Be aware of what you’re spending and make sure you are meeting your financial commitments. If you keep a good credit score you should have little problem obtaining credit in the future.